Took Lae Dee or in English, “good and affordable” is a Thai food shop in Sugbo Mercado that carries easy-to-cook dishes from the full menu of our restaurant, Little Thai Kitchen located at City Soho Mall, B. Rodriguez St., Cebu City. We, the owners, have worked and lived in Thailand for almost 20 years. Our business is aimed at bringing the authentic flavors of Thailand to our fellow Cebuanos without them breaking their piggy banks. Thus, we made sure that our dishes are authentic by importing our sauces, pastes, and spices from Thailand. We also made sure that our dishes are affordable. At Took Lae Dee, we sell nine easy-to-cook dishes. These are: Tom Yum Fried Rice, Phat Mee Korat, Green Curry Fried Rice, Chicken Green Curry, Tom Yum Soup, Thai-style shrimp omelet with rice, Glass Noddle Salad Yum Woonsen, Kapao Moo Sap and Thai Sticky rice with mango. We’ve been with Sugbo Mercado since the last week of January this year. Our products have been well received by the people; this has been evidenced by the gradual increase of our weekly sales which we hope we can sustain. We also would like to see ourselves branching out to more locations and perhaps be visible in all Sugbo Mercado sites in the future. 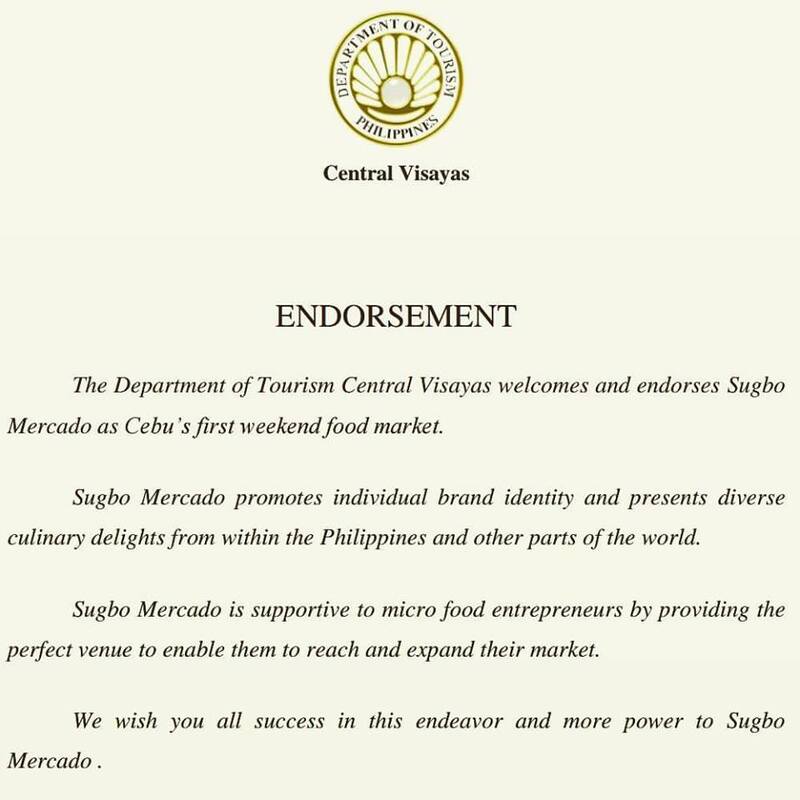 Indeed, opening a shop at Sugbo Mercado has been a blessing. We really feel that this is the best venue, where people from all walks of life converge, to showcase our dishes." -Adrian Francis Carredo owner of Took Lae Dee; Our Foodtrepreneur of the Week. Visit Took Lae Dee at Sugbo Mercado. We are open every Thursday to Sunday, from 5PM until 1AM. See you there at #YOURweekendfoodmarket.